Earlier this morning I checked out LinkedIn groups that I occasionally use to learn more about content marketing (B2B Content Marketing and Content Marketing Group included). What I saw was a wasteland. In both of these groups, there was a new post with no likes and no comments every four hours or so, even in the gray hours of the morning. As I flipped through each post, I was dumbfounded. If you’re a content marketer, you should know that exclusively posting about yourself or your brand doesn’t build your community’s respect, nor count toward any “thought leadership” you might be aspiring to. If you’re a content marketer hoping to become a thought leader, you have to start thinking more tactically about how you are marketing yourself and your brand. This means that, more than likely, your content has to change. Once your content is actually worth reading, watching, or listening to, focus on garnering status. How do you do that? Let’s let psychology and neuroscience answer. Repeat after me: I am not an imposter. Digital content marketing is a new field and we’re still figuring it out (or re-figuring it out, thanks to Google’s irregular algorithmic changes). If you have been in the field for over a year, you’re ahead. Overconfidence leads to higher social status, both in the short term and the long term. Overconfidence acts as a social signature, leading people to believe that you’re competent, or even better at your job than you actually are. Overconfidence is often driven by a desire for status. In other words, overconfident people are often regarded as thought leaders, whether they deserve to be recognized as such or not. Now, I would never suggest that you become overconfident in your quest for thought leadership; I suppose Donald Trump is a thought leader, but I doubt you’d want to offer the same level of hubris. However, confidence is clearly a key indicator of charisma. I believe that you can be especially confident on video. You can craft your self-assurance and physicality. If you’re a writer, don’t use mushy language to beat around your point. You know what you want to say, don’t apologize for it. When it’s time to share your work, be a narcissist. Reach out to influencers, share your work over and over, and tell everyone that it’s damned good. Psychologists have identified one group of people who seem to be natural willpower athletes: leaders. Being in a position of power or high responsibility seems to motivate people to use whatever willpower they have left. Even when overwhelmed and exhausted, they will dredge up the final reserves to get things done. And while research shows that most of us run out of willpower the more we use it, leaders show an opposite response to effort. Willpower-depleted leaders work even harder than those who haven’t been dealing with constant self-control demands. The feeling of willpower fatigue shifts them into the mindset of a tired triathlete: just keep going, don’t ask questions, you can do it. So they make the deadline, stay awake despite jet lag, or keep their cool in an emergency. If willpower can be taught, then refusing to crash when the road gets ragged should be a cornerstone of any aspiring thought leader. Beware of license to sin. For example, after you go out for a run, do you “reward” yourself with a treat? If you work until 7, do you allow yourself to sleep in until 9 the following day? Rewarding yourself for willpower means that you’re not motivated intrinsically. Shift your thinking: congratulate yourself on reaching your goal, then move on. Separate desire from reward. If you want to be a top marketer on Twitter, or just want to gain Twitter followers, you might be tempted to buy a good 10,000 instead of connecting with real people. What you want is the gratification of followers because it shows that you’re worth following. Instead of buying up followers, reach out to specific people by whom you want to feel validated and solicit their feedback. Doing so is both more valuable and satisfying than buying random people. Show that you love yourself. If you aren’t reaching your goals, you could be self-sabotaging. If you’re blaming yourself or shaming yourself because you didn’t post a blog on time, had writer’s block, accidentally acted inappropriately in a meeting, or even got fired, your brain is going to crave dopamine. Dr. McGonigal argues that those who are more forgiving of themselves are quicker to get back on track. 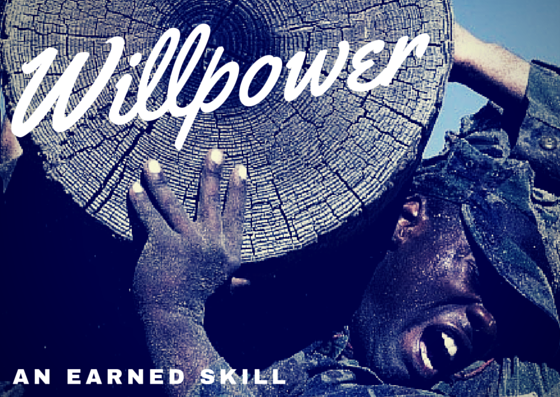 Willpower is at the heart of producing regular content. Just like in starting a business, thought leaders must be prepared for failure upon failure and then be ready to overcome and succeed. 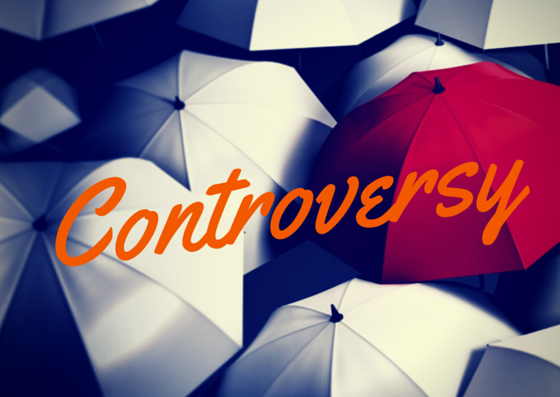 Controversial articles get clicked and shared, period. While this psychological study on social sharing was conducted in China, it rings true internationally. Researchers found that tweets expressing “anger” engaged audiences better than any other emotion. Naturally, you don’t want your readership to be angry with you, but you do want to strike a nerve. There is no “leadership” involved in simply copying other people’s work. Relish in your controversy and don’t apologize for any predictions or conclusions that you may have come to on your own. Of course, controversial posts do have their limit. No one likes an exclusively negative thought leader. Limit your controversial posts to 10% of your articles and you should be fine. Thought leaders largely occupy the space between what’s common knowledge and what’s needed knowledge. 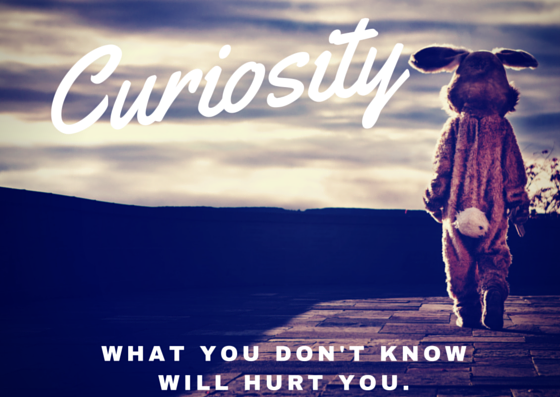 Figuring out the right questions to ask–and how to synthesize known information–is the root of curiosity. Thought leaders always ask why. In his book Corner Office, Adam Bryant interviewed 700 CEOs. Of the many questions he asked, the most pertinent was, “What qualities do you see most often in those who succeed?” The overwhelming answer was passionate curiosity. Curiosity feeds thought leadership in two ways: firstly, it keeps thought leaders at the head of their field. You better believe that top thought leaders are always reading the latest news on their industry, and always asking questions about why things are the way they are. The second way is slightly less direct: the act of asking questions builds bonds. For example, there’s a verified phenomenon called the “Benjamin Franklin Effect.” The idea is that if you ask someone to do you a favor, they will like you more. That’s right: they will like you better because they are doing a favor for you. Pick influencers’ brains for knowledge and watch them fall in love. Delivering on your headline’s promise. In an article published in The Journal of Experimental Psychology, researchers found that readers tend to believe the headline they click into, and will remember the headline more than the article’s contents. This means that if your headline is misleading, your readership will have trouble reprocessing the true intent of your article. 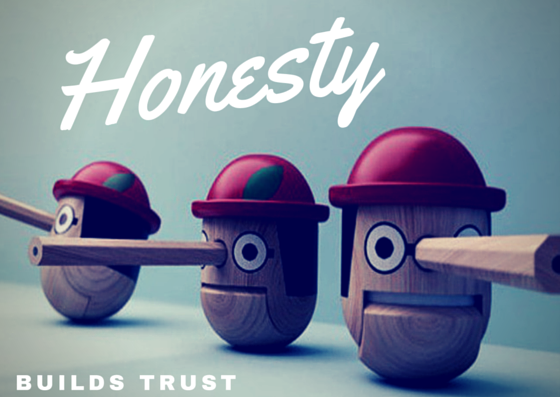 Inaccurate or misleading headlines have lingering and real effects on everything from our understanding of issues to our perceptions of trustworthiness. The reality is, whether misleading headlines are deliberately developed for “clickbait” or for influencing opinion, beliefs can be entrenched, opinions formed, or trust diminished simply by skimming headlines, reading tweets, or listening to sound bites. In layman’s terms: if you’re creating clickbait articles, you might get traffic to your site, but that will not necessarily make you into a thought leader. I think Buzzfeed is a great example: while I love it for relating to other short women or for dwelling in 90s nostalgia, I don’t frequent it as a news site because I don’t trust it. My bet is that you don’t either. In sum: invest in honest headlines. Your readership will thank you for it. Ever buy something pricey off Amazon because it had four or more stars? Ta-da: social proofing. 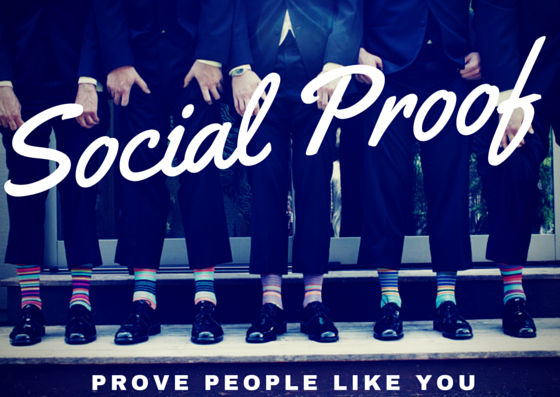 Social proof is especially common when trying to establish thought leadership. Do you have icons on your site that show the number of shares for any given post? Do you include reviews on your site of your thoughts and services? If not, it sounds like you need to double down on social proofing. You should also take advantage of social proofing by affiliating yourself with influencers. Include quotes from big names in your space, and make them stand out (like I did with Rand Fishkin here). Too many think in terms of transactions, not relationships. Too many focus on what the influencer can do for them, rather than how they can help the influencer. Too many make presumptive requests with little upside for the person they’re asking. Too many have ridiculously high expectations or (sometimes) ridiculously vague expectations. What does this mean? Create a social plan to engage these influencers. Share their articles, reach out to them personally, and show that you respectfully admire them. Pause before asking big favors–this is a long-term strategy for long-term success. 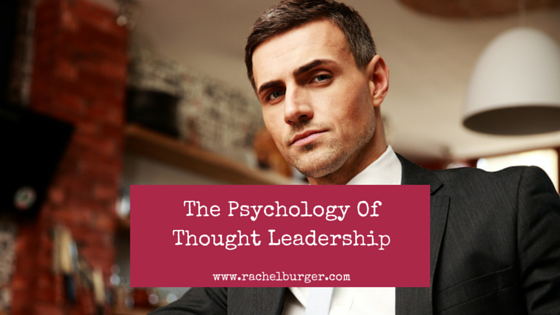 More On Psychology and Thought Leadership? There are, literally, hundreds upon thousands of psychology studies that could be easily applied to garnering thought leadership. For example, make sure you hit “flow” while you’re writing to prevent yourself from burnout. Be careful to choose words that commonly influence people. Always seek the good in the feedback you’re receiving and never ever stop listening. I’d love to hear any impressions or personal experiences with the studies above. Do you consider yourself a “thought leader?” Have you used any of these techniques listed above? What psychology studies did I miss that could be applied to thought leadership? As an advocate for all of this research, I’m always looking for feedback in the comments section below.